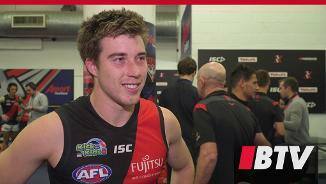 Zach Merrett says the Bombers’ scintillating ball movement is just as fun to play as it is to watch. 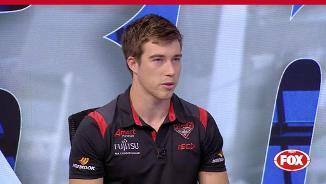 John Worsfold says Zach Merrett wasn't alone in having a poor game against the Giants. 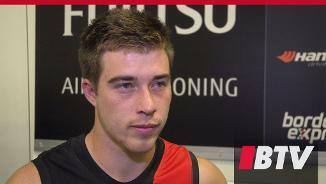 Essendon star Zach Merrett says there is no cause for concern after the Bombers fell 28 points short of Geelong in the JLT Community Series on Thursday. 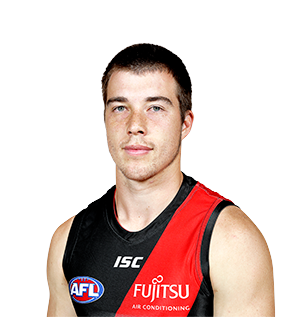 Incredibly important young Bomber who has become one of the side’s greatest leaders in his five years at the club. Merrett finished 2018 in style, averaging 30.4 disposals, 11.8 contested possessions and 5.3 clearances from rounds nine to 23 to display typical drive and persistence after a difficult start to the season. Merrett has a dangerous mix of speed, aggression and skill that sets a great example for his peers and has seen him rise into the top echelon of the league’s midfielders. The ball magnet was an All Australian in 2017 and the momentum he gathered in 2018 suggests he is ready to put in another brilliant season, particularly with extra support from the club’s versatile rotation of midfielders.